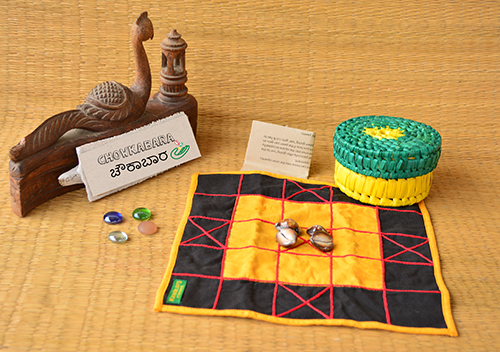 Played with cowrie shells, Chowkabara is a game that progresses on luck and strategy. Suitable for children and adults, this game is great for building strategy skills and is a definitive way of bringing in heaps of laughter. This set is presented on a beautiful hand embroidered game layout and comes with 4 sets of brightly colored wooden pawns and 4 cowrie shells.